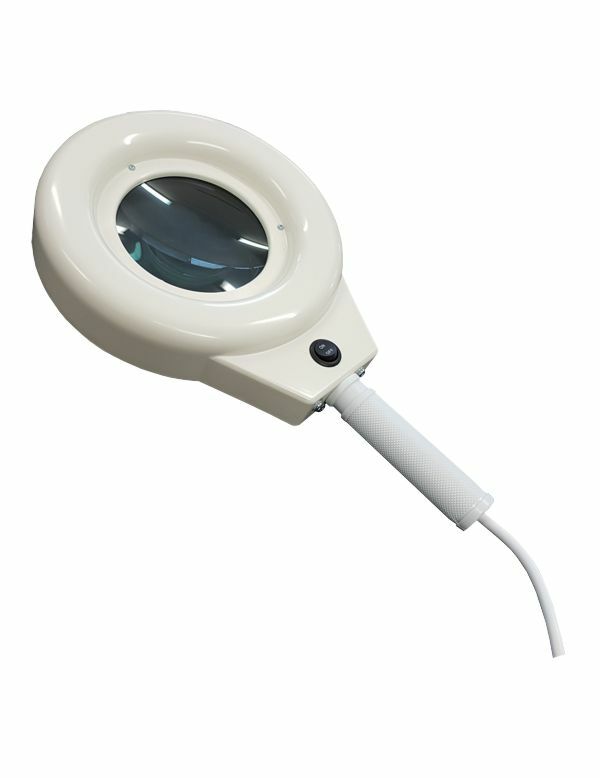 These Hand Held Maggylamps are all made in Australia and have been widely used for many years by doctors, dermatologists, skin cancer clinics and vets. #ML 215 UV Woods lamp with 4 x 4 watt UV bulbs Buy Online! 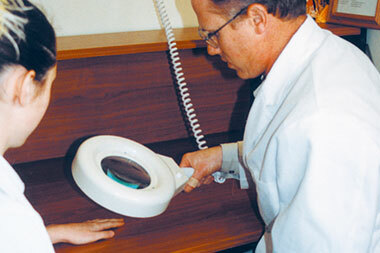 Ideal for viewing skin cancers, lesions, warts and splinters. 127mm diameter lens, 2 x magnification. Glass lens–will not easily scratch & degrade due to chemical cleaners. LED daylight tube which gives good skin tones. Can be easily transferred from surgery room to room. Hand Held Maggylamp Buy Online! Expandable curly cord that will stretch up to 2.5 metres. Lamp is returned to wall bracket after use-eliminating trip hazard. Glass lens–will not easily scratch and degrade due to chemical cleaners. Heavy duty wall bracket mounts to plaster & masonry walls. 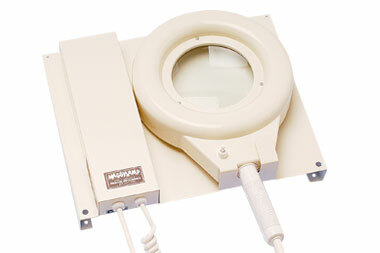 #ML 218-LED Hand Held Maggylamp with wall bracket Buy Online! The NEW Hand Held Maggylamp has arrived!! Learn More!